Can’t Kill the Beast: New Cryptocurrency UNEARTHED! Over the weekend, I took a step back and dove into my history books. Joining me was a hedge fund manager who is a trusted friend of mine and a well-respected, Swiss-based finance guru. He has an office in “Crypto Valley,” which is the new nickname for the banking city named Zug. We were going over Wealth Research Group’s detailed notes of each of the top 60 cryptocurrencies that are currently trading. Our methodology was to look at past financial revolutions and wealth transfers in Europe’s long history of monetary policies and compare them to today’s many use cases for cryptocurrencies. As you know, each of the coins is targeting a specific service they aim to provide – the ones that don’t define their niche will become money graveyards for token holders. As we’re preparing our tutorial series of PDF downloads, accompanying video step-by-step guides, and our TOP 5 Cryptocurrencies for 2018 Special Report, I wanted to publish one of the 5 this Tuesday, the 12th of December, as the market is moving extremely fast right now. That’s why I invited this fund manager to fly out and meet me, all expenses paid, so we can get to the bottom of which coin is poised for massive enrichment of its holders – being in “Crypto Valley” gives us an important point of view as to what institutions find valuable. We’ve identified the most attractive cryptocurrency that is still trading below our maximum buy-up-to price. 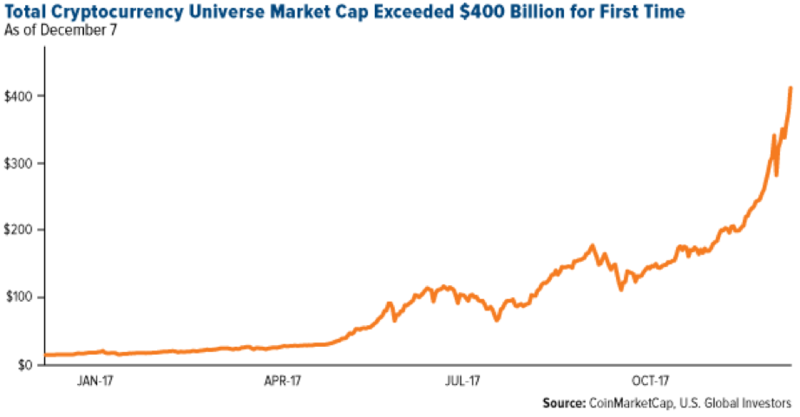 As you know, we’ve covered Bitcoin ever since it was priced at $400. We were early with Ethereum at $12, Dash at $30, Monero at $19, and Steem at $0.30, but these are now above what I’m willing to pay for them before they take a breather – the new cryptocurrency I will be publishing this coming Tuesday is cheap. Today’s currencies are backed by political stability when it comes down to it. Every nation on the planet issues its own fiat currency, manages its supply via central banking policies, and licenses commercial banks with the permission to originate currency for the purposes of creating mortgages and loans for individuals and corporations. No one knows how much currency there is in circulation because nearly all governments are on a deficit spending spree and virtually every Westernized country’s population is deeply indebted today. 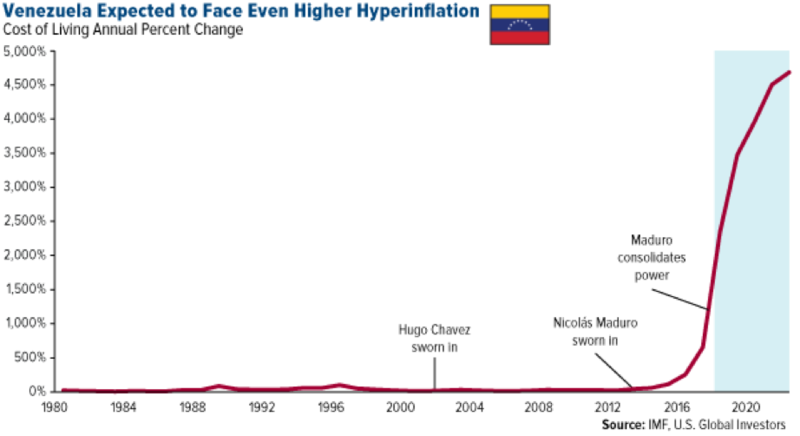 Venezuela is just another example of extreme mismanagement of political regime, which led to the extinction of their bolivar (local currency). The country owes $60B to bondholders, yet they only have $9.6B in the bank. Poverty is reality to 4 out of every 5 citizens, and basic necessities are hard to find. The fiat currency model was created by the deceased coward Richard Nixon and his close group of advisors, such as Henry Kissinger. The purpose was to avoid an international scandal with regards to the increasing pressure to conduct a gold audit at the time, which the U.S. would have surely defaulted on. 46 years later, it is clear that this petrodollar mechanism is surrendering to its weaknesses, the grandest of which being that politicians are money whores who can’t make tough decisions and kill the printing press. That is the main reason cryptocurrencies were relaunched in 2009, with the release of Bitcoin. I say relaunched since cryptography and digital currencies have been tried throughout the 1990s, but the existing fiat monetary system didn’t appear as vulnerable as did it after the 2008 decimation of the U.S.’s house of cards financial sector. Bitcoin was first adopted by coders and enthusiasts who were active in cryptography forums and programming sites. Then anarchists saw the value in them. Later came the people involved with illegal activities, which put the entire sector through a bear market du to negative publicity. Investors like me started noticing Bitcoin in 2013, 2014, and 2015, and it’s now the most talked about financial subject in the world. You just can’t kill this beast! The biggest problem with political currencies is that they’re based on debt. This debt bears interest that is unrepayable because the originator of credit is a quasi-governmental entity called the Federal Reserve Bank. The entire set-up makes me puke just thinking about it. 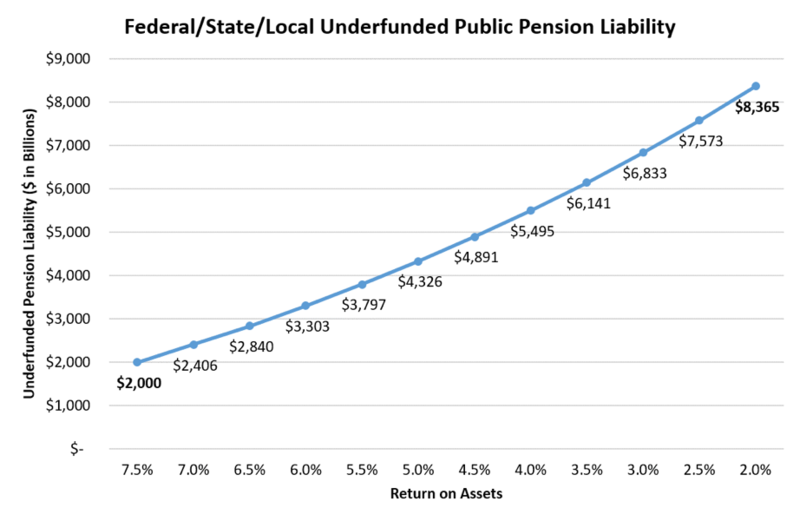 Look at the lunacy of pension funds (in the chart above), which have overpromised and will now begin to under-deliver – there is no way that their portfolios can yield 7.5% per annum, which is what they promised retirees. I’ve owned precious metals for the better part of my adult life. They’re the backbone insurance set aside for any and all emergency contingencies, but the world is also moving towards a digital solution to systemic risks at the moment. When gold and silver were initially mined and dug from the earth thousands of years ago, their utility as monetary metals weren’t known, either. Their prices were close to nothing, and then they began to soar as mass adoption occurred and their value was realized by societies. The same process is happening today with cryptocurrencies. They are NOT stable currencies and efficient mediums of exchange yet (that’s probably a decade away). For the meantime, though, they are in a speculative asset class that is not yet defined as a security, utility, commodity, or product by the authorities, but it doesn’t matter at all and I’ll tell you why. The only thing that truly matters is that as mass adoption reaches the point of NO RETURN, the most useful cryptocurrencies will have become the best wealth machines of this century. Institutional money that is now entering the sector and is funding the projects, coupled with applications allowed by the cutting-edge, blockchain-based coins to help institutions conduct business (like Ethereum does) will forever change currencies – be on the forefront of this. JEFF BERWICK: Bitcoin SOARS $5,000, Russiagate Is A Joke, RECESSION WILL BE HORRIFIC! BEN PERRIN: Gold Vs. BTC, Stocks vs Crypto, Halving And Wall Street ENTRANCE! DAVID STOCKMAN: COUNT YOUR BLESSINGS – THIS MELTDOWN WILL BE UNREAL! TAKE IT ALL IN: Markets Will Go Parabolic SOON! T-R-E-M-E-N-D-O-U-S: LOOK AT THIS NOW! Silver and Gold Price Target: Keith Neumeyer’s Predictions Will SHOCK You! BIG CHANGES Coming in Cannabis: We’re Making our Move Now!